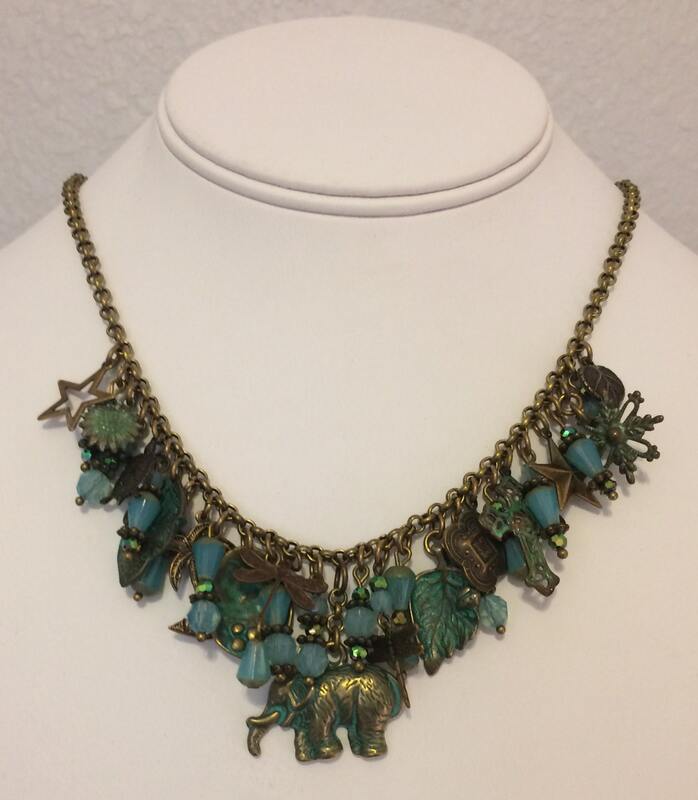 This necklace is literally loaded with charm...and charms. It is made of antique brass and is 18" long with a hook-and-eye clasp. 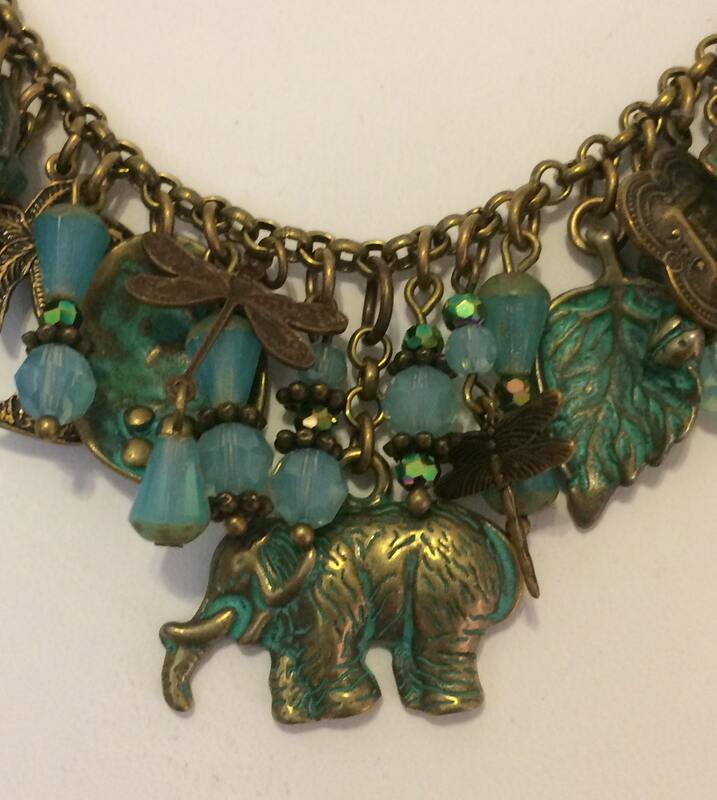 There are over 25 charms and beads which make this a real one-of-a-kind conversation piece!